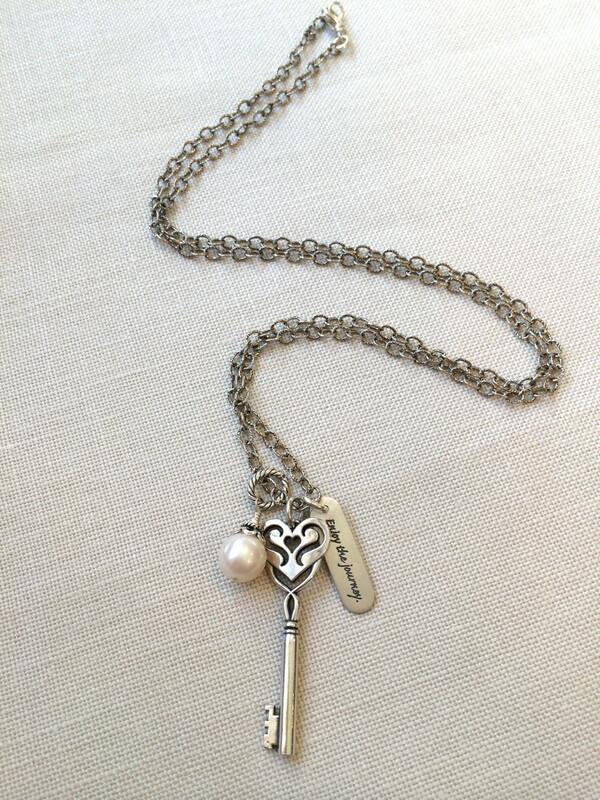 This sterling silver heart key pendant is a substantial 48 mm long (almost 2"). 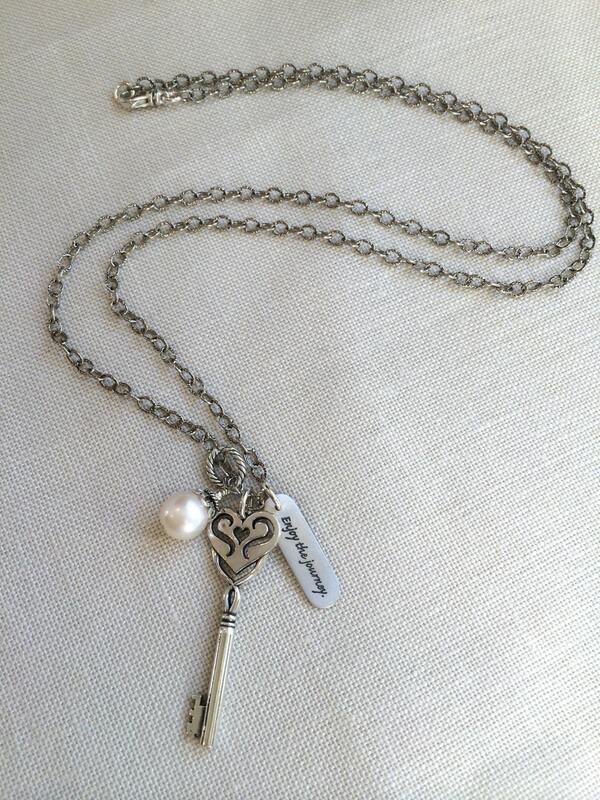 The antique design looks perfect on this oxidized chain that hangs 32". 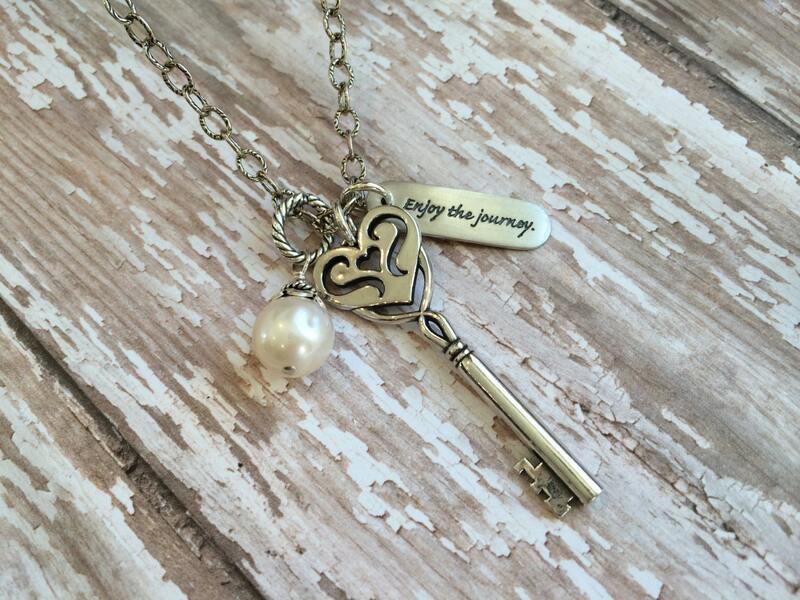 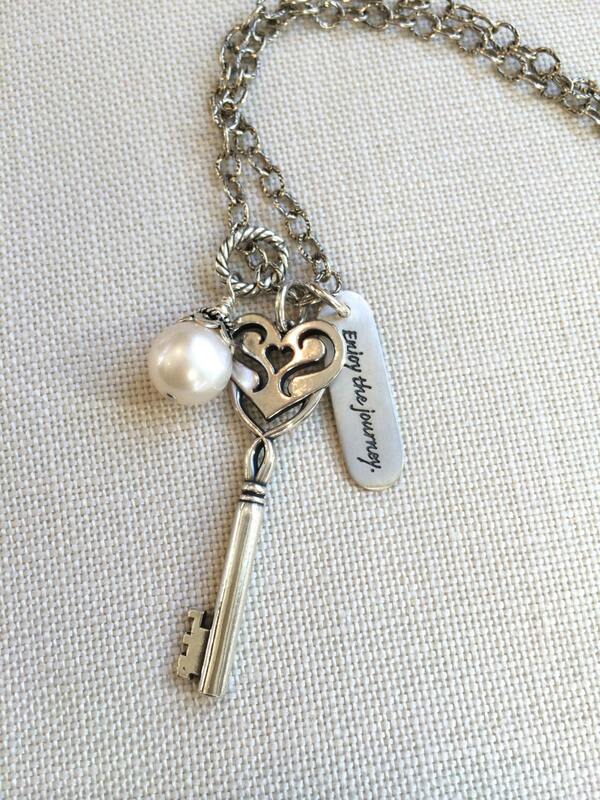 A large freshwater pearl charm is hung on a twisted silver link alongside a silver charm that says "Enjoy the Journey". 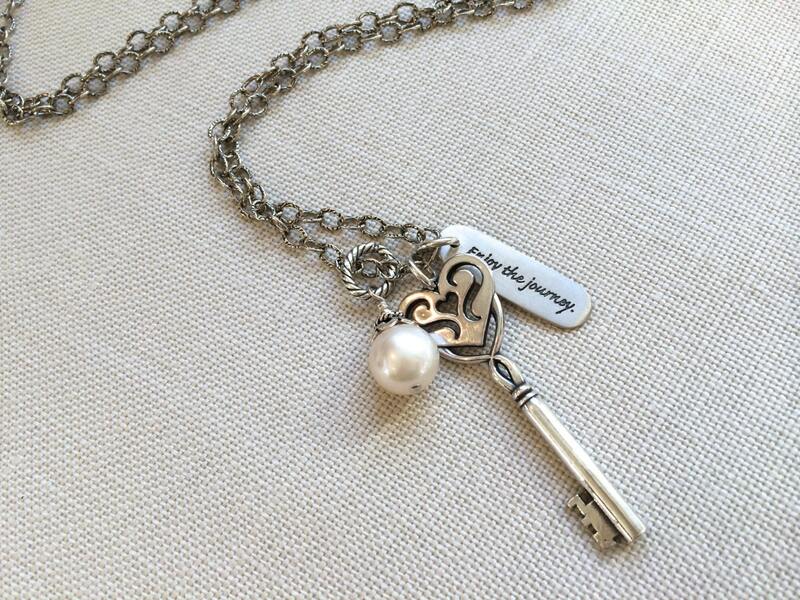 The clasp is a silver lobster swivel.